You know how you can make a quick mug sponge in the microwave? Well these is exactly that… in a sachet. These are the epitome of laziness… but I really like them. You could argue they’re easy to make an unnecessary, but that’s convenience foods for you. I enjoyed the chocolate chip one and keep one stashed in my drawer at work for when I need a sweet afternoon treat. 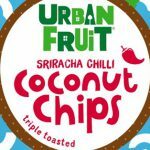 If you like little fruity snacks, dried nuts, trail mix, that sort of thing, these coconut chips from Urban Fruit are a great snack choice. I particularly like the sriracha ones which are the right balance of sweet, spicy and savoury! Did you know there are kitchen-garden seeds you can plant all year round? 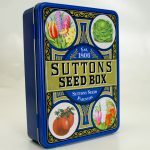 Sutton’s seeds has an excellent menu system on their website that allows you to select things that you can plant in the right month. And if you’re looking for a gift, wouldn’t this seed box make an excellent present? 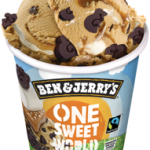 Ben & Jerry’s is on more than an ice cream mission with its latest flavour One Sweet World. The concoction is packed with Fairtrade coffee and caramel ice cream and marshmallow and salted caramel swirls, all lovingly churned together with chocolate ampersands – to reflect Ben & Jerry’s belief that, just like ice cream, communities come in all flavours and together can make up ‘One Sweet World’. The awareness-raising pint is the latest instalment to Ben & Jerry’s One Sweet World campaign, launched in partnership with civil-rights charity HOPE not hate, to bring people together and celebrate our communities at a time of increasing division. I plonked this on the table in front of a few guests and the pot simply vanished. The coffee flavour is absolutely stunning and the chocolate treats lurking within are super-tasty. 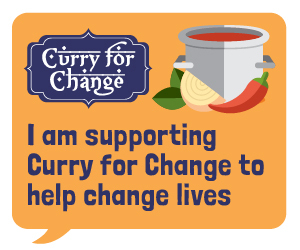 Whether you want to support the charity or not, it’s a superb ice-cream! 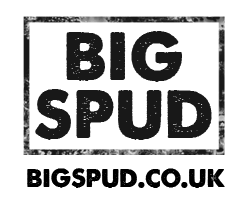 Proceeds of One Sweet World will also help fund projects that contribute to more inclusive communities. Yes, another tub of special ice-cream! 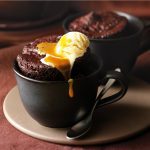 This is a proper little pot of indulgence. 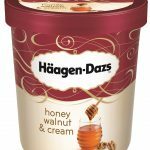 With honey from a family-run colony of Spanish honey bees, caramelised walnut pieces it’s a luxury treat only available in the colder months. 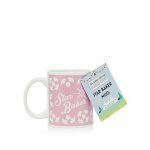 It’s available from Tesco’s, Sainsbury’s and Co-op with an RRP of £4.75. Weirdly, I’d never tried making beef wellington before. I’ve eaten it a handful of times. And then the fever gripped me to try it. I knew the principles: fillet of beef, duxelle, crepe, pastry. I pretty much followed the Gordon Ramsay technique from an old F-Word recipe I found on YouTube (remember the F-Word?! 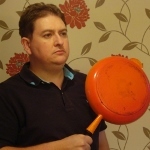 “Beef – cook. Pastry – wrap. 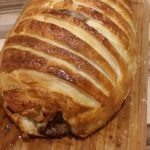 Beef wellington – DONE.” So dated! But could be due a comeback.) And the technique works really well. Buy a decent piece of beef, leave time between each stage to wrap and shape the final product, and you get a perfect little wrap. I also recommend using a meat thermometer to ensure the beef is cooked through the way you like it (I like 50C for a blushing medium rare). The moment of truth: is the beef wellington cooked in the middle?! I was chuffed. It was perfectly moist thanks to an excellent piece of beef fillet I bought from Sainsbury’s, I used frozen puff pastry and following the aforementioned video guides it was fairly straightforward. Well worth it. The Christmas show from @sainsburys was pretty. A huge push on free-form across all ranges is a noble idea. Winning dishes include cider gammon, stuffed dates, and pulled pork lollipops. It was #AldiChristmas yesterday ? and they pulled no punches – they are serious! I have my eye on their rib of beef. And their Kitchenaid style stand mixer should be a huge hit.